The Los Angeles quintet HOLY GRAIL — whose new single, “Dark Passenger,” is now available on iTunes — will support Hellyeah during a three-week tour that kicks off Oct. 23 in Waco, Texas. A list of currently confirmed dates can be found below. The lyric video for “Dark Passenger”, featuring the single’s artwork by Sam Turner (3 Inches of Blood), can be seen below. 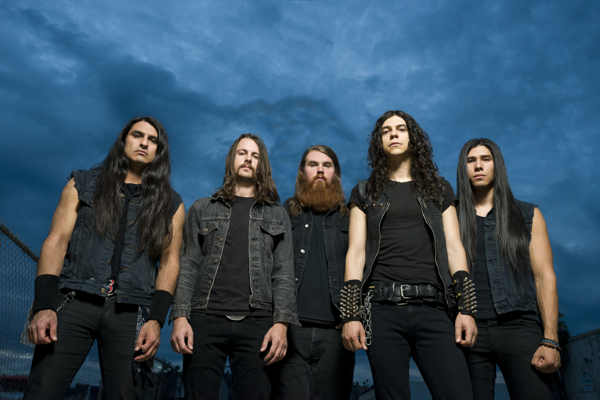 The song will appear on HOLY GRAIL’s new album “Ride the Void,” due out in early 2013. More details about the follow-up to the band’s acclaimed 2010 debut “Crisis In Utopia” will be revealed in the coming weeks. “Dark Passenger” will be also available on 7″ vinyl later this month. The 7″ (available on transparent gold or black wax), which includes the unreleased B-side “Go Down Swinging” (which is not included on the upcoming album), is now available for pre-order through the PROSTHETIC webstore.